Opel is launching a heavily revised Corsa ( shown). German unions fear they may lose production of its successor. FRANKFURT -- General Motors' Opel unit faces labor unrest in Germany over future output of the Corsa subcompact and the Karl minicar, a German business magazine reported. Opel unions are angry that the Karl and its Vauxhall-badged sibling, the Viva, will be made at a GM plant in Korea that is being stretched beyond its capacity rather than at an underutilized German plant Bilanz reported. Opel unions also fear the sixth-generation Corsa, which is due before the end of 2020, may be built entirely at GM's factory in Zaragoza, Spain, the report said. The current Corsa is built in Zaragoza and Eisenach, Germany. A heavily revised version of Opel's best-seller will be made at both plants and go on sale before the end of the year. Opel unions fear Eisenach, which also builds the Adam minicar, may lose production of the sixth-generation Corsa because the plant has no press shot so it is partly supplied with bodies in white from Zaragoza, Bilanz said. Zaragoza already builds more Corsas than agreed, Eisenach workers claim. Opel has pointed to an agreement to protect jobs at the plant until 2018, but labor representatives are questioning what will happen after that, the report said. Labor representatives are also angry that Opel has chosen to produce more auto components at its factory in Tychy, Poland, instead of Germany, Bilanz reported. An Opel spokesman confirmed to Automotive News Europe that the Karl will be built in Korea and that the fifth-generation Corsa will be produced in Eisenach and Zaragoza. “Speculative rumors about the next vehicle generation but one are frivolous,” the automaker said in the statement, referring to production of the sixth-generation Corsa. The Karl will go on sale in Europe next summer. It is based in the Chevrolet Spark, which is also built in Korea. The Karl will replace the Agila, which was produced for Opel by Suzuki in Hungary. Opel is adding the Karl to its lineup to win customers of GM's Chevrolet brand, which is ending European sales at the end of 2015. The five-door minicar will start at 10,000 euros ($12,926) in Germany. At 3680mm long, the Karl is be slightly smaller than the Adam. 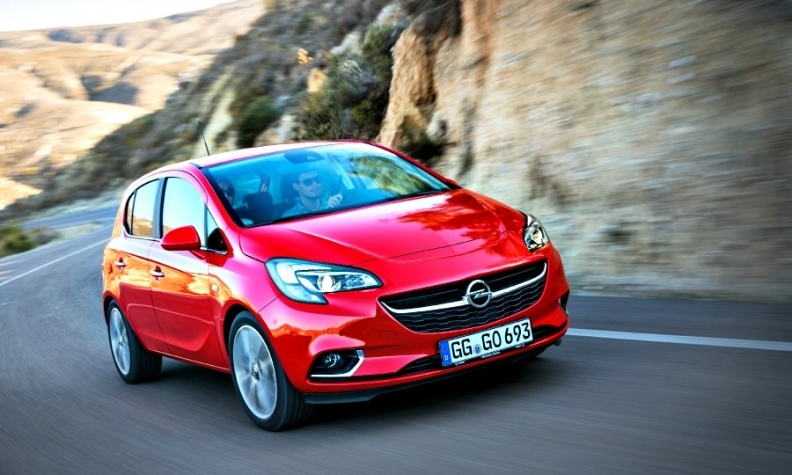 European sales of the Corsa rose 5 percent to 213,704 in the first ten months, according to data from JATO Dynamics.